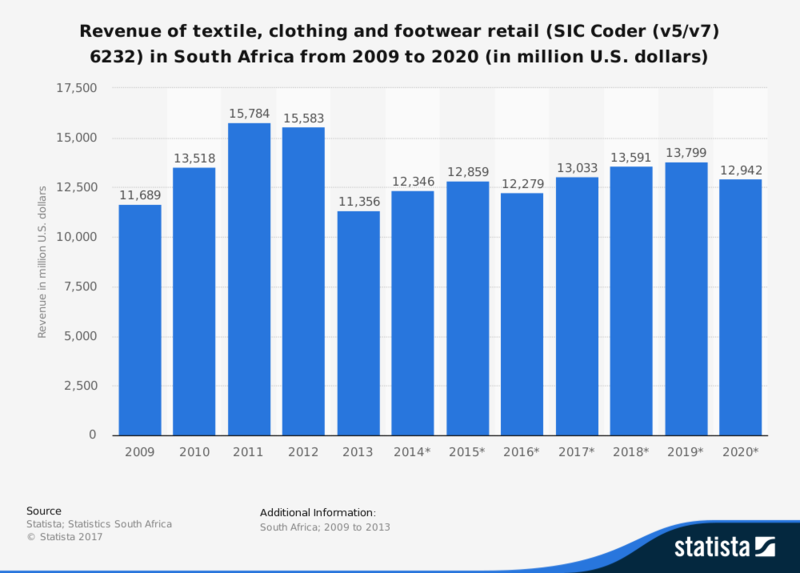 Many challenges have impacted the South African clothing and textile industry since the transition to democracy occurred in the 1990s. Higher wages and lower demand have caused a steady decline in employment opportunities. The industry has averaged a job loss of about 4,000 people per year. Cheap imports have also made it difficult for industry professionals to be competitive. Import increases from China, in particular, have been devastating. Some years saw import growth of more than 700%. The last year for reliable data comes from the period ending with FY 2014. The number of households in South Africa that will include an ultra-high net worth is forecast to grow by 59% by the year 2024. Two cities in South Africa, Cape Town and Johannesburg, are rated in the Global Top 40 in importance in this area. 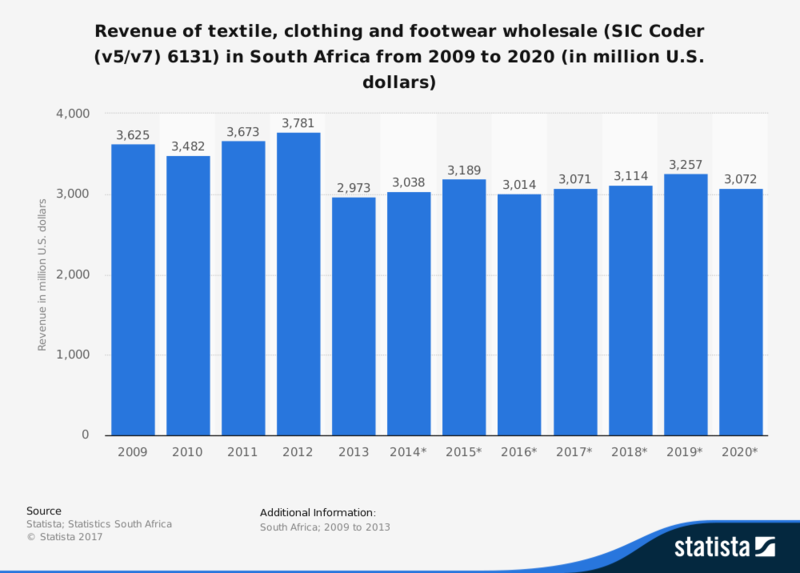 When this is combined with the maturity and sophistication of the clothing and textile industry in the country, there is a foundation for strong and continued growth already built. Tax structures are reasonable, business cultures are positive, and wages are competitive. South Africa does face certain challenges in the coming days that may affect the success of this industry. Cape Town is facing an uncertain and unprecedented water shortage, rationing water to just 6.6 gallons per person. Since it can take almost 3,000 gallons of water to produce a single t-shirt, these challenges are not going to go away. The industry must focus on using recycled water and examine enzymatic techniques to reduce water. Over time, this may create added profitability for the industry, but could be a large capital investment for some. 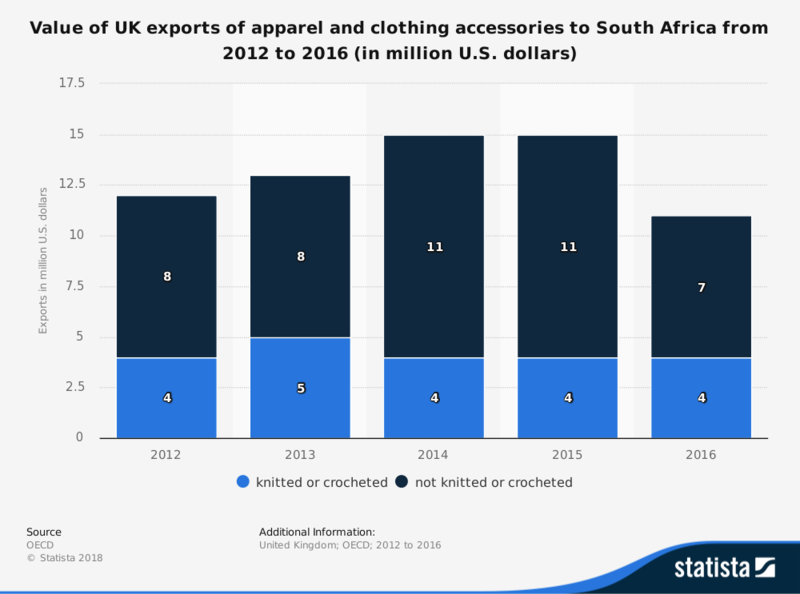 Until these issues are fully resolved, there will always be tension and unease present for investors in the South African clothing and textile industry.